Baldwin's double cylinder deadbolt has a keyed cylinder on the outside as well as a keyed cylinder on the inside, unlike a single cylinder which has a thumb turn on the interior. 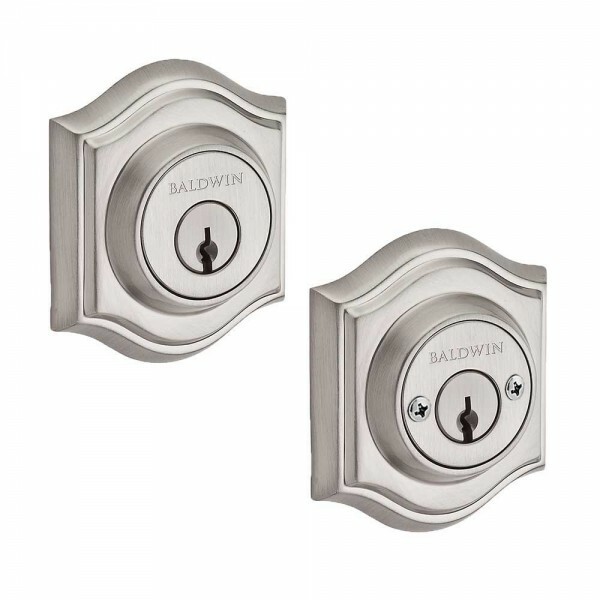 The deadbolt latch is locked and unlocked only via a key so it is ideal for doors near glass where someone could break the glass and turn the thumbturn on the interior. 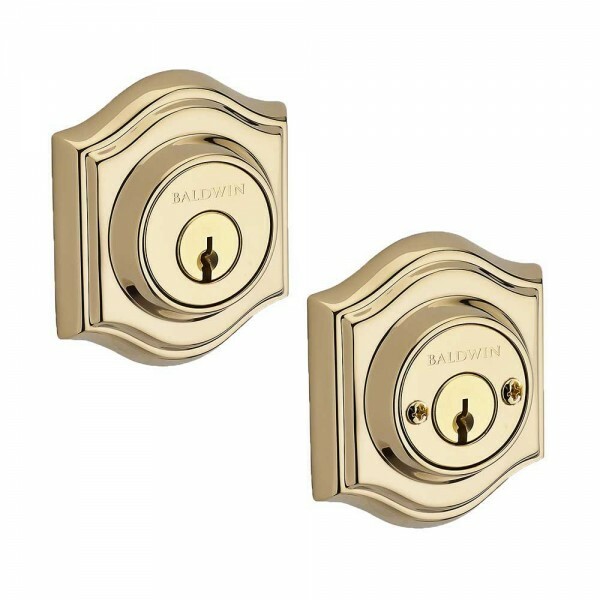 The shape of Baldwin's Traditional Arch Deadbolt blends modern detailing with classic Federal styling, providing a uniquely versatile deadbolt for use with a large variety of décors. 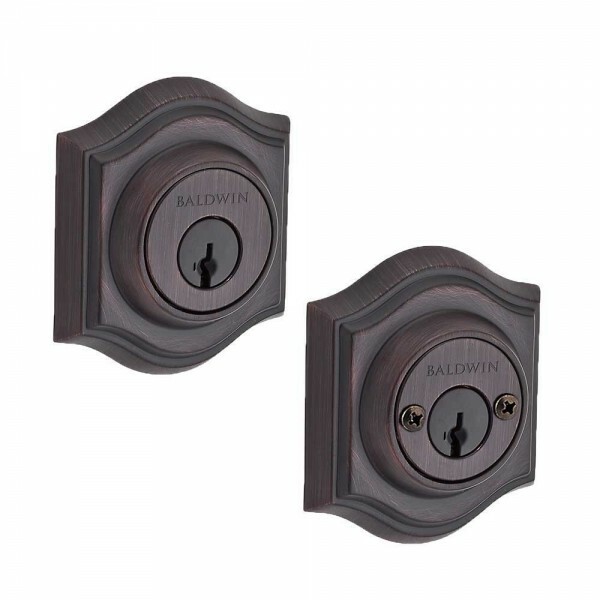 Pair this deadbolt with a Baldwin Traditional keyed or passage lever or knob with the Traditional Arch rosette for a complete entry set and a perfect match. 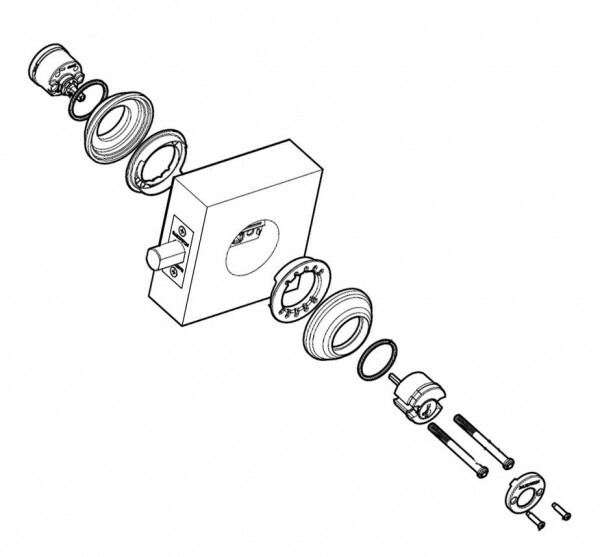 Accommodates door thickness 1-3/4"" up to 2-1/2"".